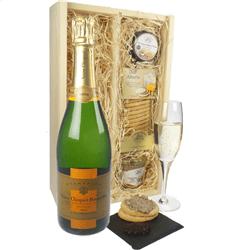 A bottle of Champagne and Gourmet food is the perfect gift to tickle your taste buds. 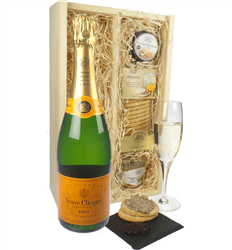 We have a range of Veuve Clicquot Champagne and Gourmet Food gift boxes which include Oval Alberts savoury biscuits, pate and delicious chutney. 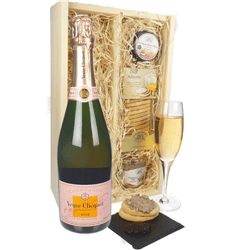 Simply choose which bottle of Veuve Clicquot Champagne you would like to include and we will send your gift in a beautiful gift basket with your personal message.